See America’s presidents as never before—made of objects! Using everything from blue jeans to boxing gloves, Hanoch Piven “builds” the characters of eighteen of our nation’s leaders. Revealing anecdotes accompany the creative collages and lend insight to the charismatic personalities of prominent presidents from George Washington to Barack Obama, resulting in an irresistible resource that transcends party lines. 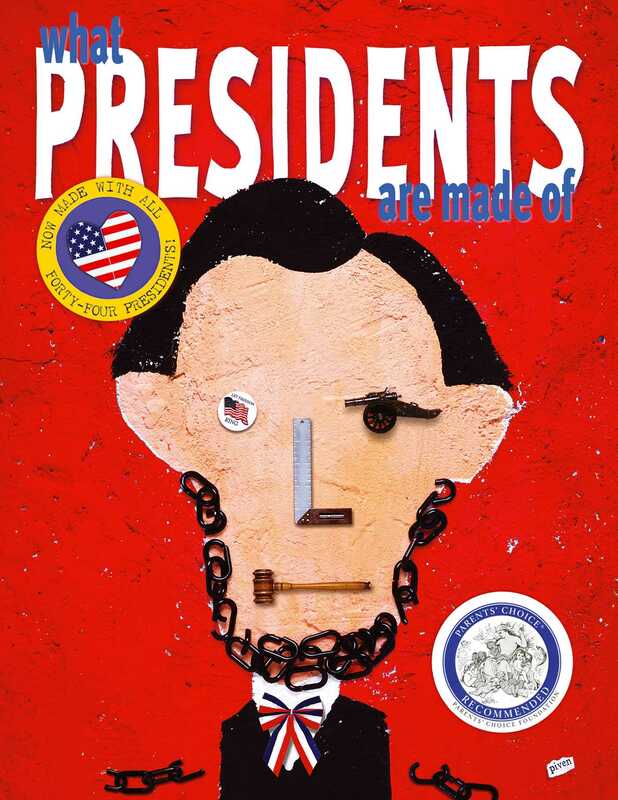 Hanoch Piven is the acclaimed creator of Let’s Make Faces, What Presidents Are Made Of, What Athletes Are Made Of, and What Cats Are Made Of, among other books for children. His incisive portraits have been published in the United States in such major magazines as Time, Newsweek, Rolling Stone, The New Yorker, The Atlantic Monthly, Entertainment Weekly, and The New York Times. He lives with his wife and children in Israel. Visit him at PivenWorld.com.